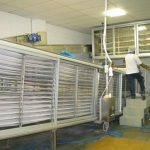 The system suitable for producing naan bread (Indian bread), lavash bread (Iraq bread) and any kind of product that made in the same way. System designing – will designed the structure, the number of Product for hour and the kind of Product. We set the lines according to the client space. 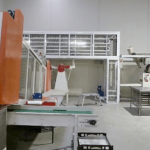 Control system – Control all the Automatic line by sensors and display on touch Screen, for safety and friendly to the user The machine structure – the machine framework made from steel and the external of the machine is from stainless steel. It is possible to have the framework from stainless steel also Support in the machine selection for the client needs. For big automatic line recommended mixer with lift or automatic System with number of kettles. 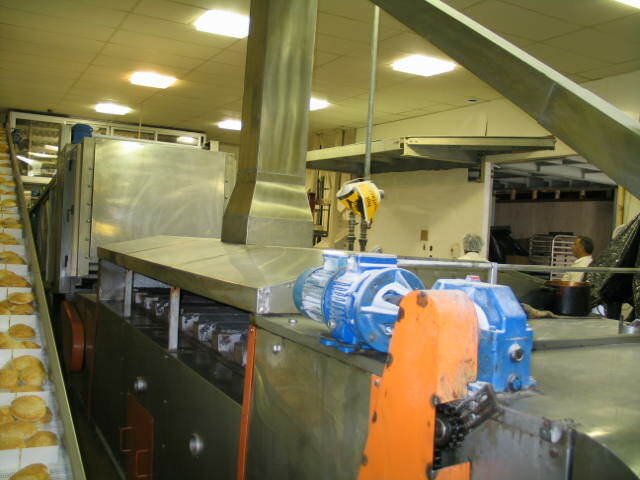 Size of the mixer suited to the automatic line. The Hooper is made from stainless steel with Electro-pneumatic system. 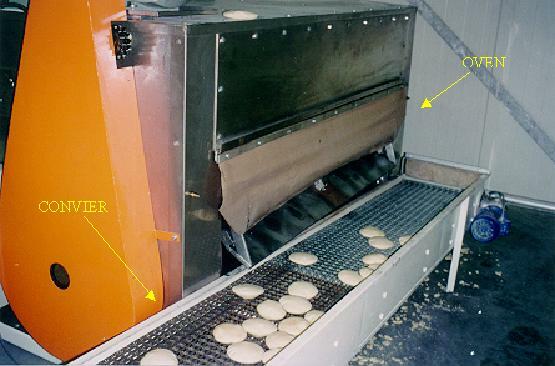 The Hooper purpose is to divide the dough which coming from the mixer to the divider. This machine incharge of the amount of dough. Cut weight and divide the dough. 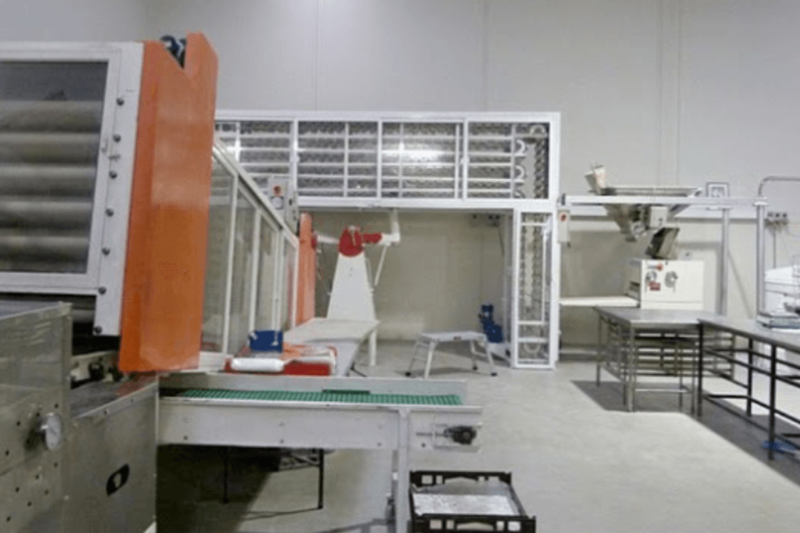 PRI Bakery equipment offer verios firms. Machine capacity: up to 20,000 p/h ! 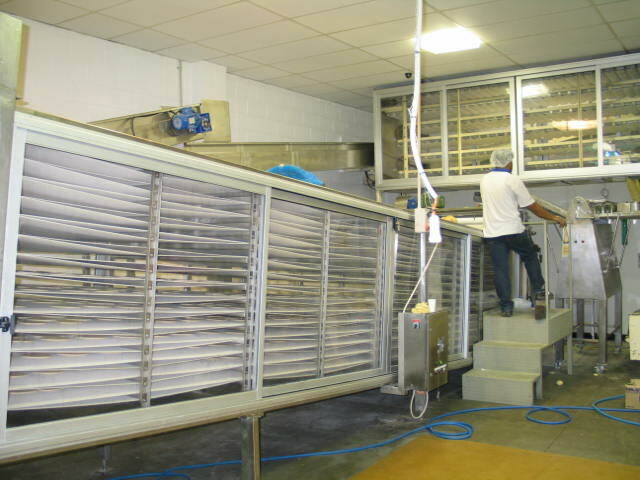 Basket’s conveyer for the first baking Chamber. 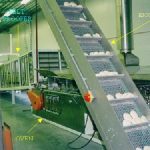 The Basket’s are made from stainless steel with special caps or sleeves, The machine are nade from steel. The sides cover with persecutes. It is possible to have the body from stainless steel also. 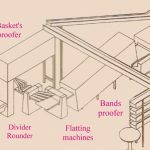 The proofer dimension depends on the divider and the number of Product. 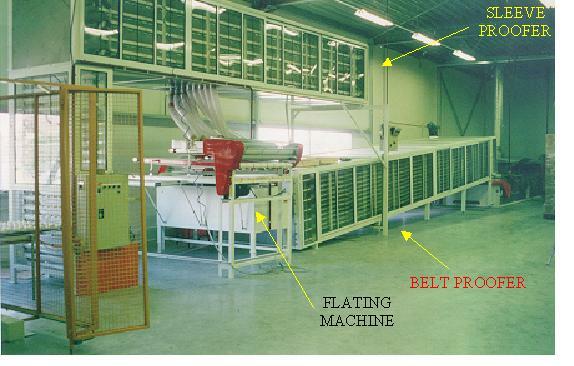 Sheeting machine which give the dough elliptical shape. 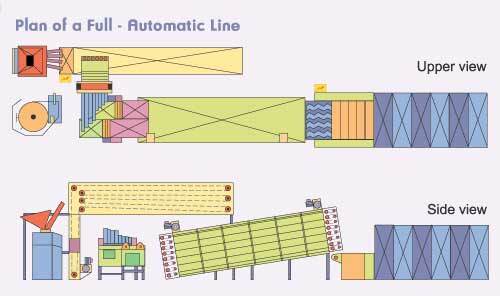 Have inlet belt conveyor table and arms belt conveyor (4-8 arms). The two sheeting roller are made from Teflon. 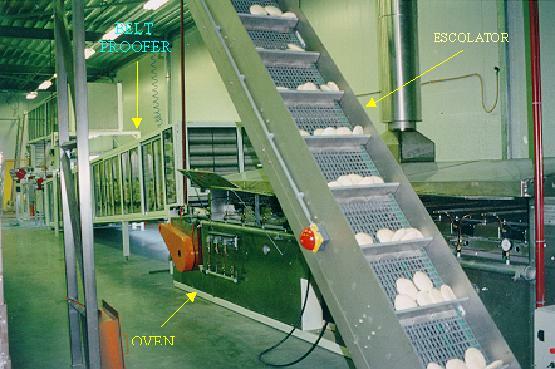 Sheeting machine, which give the dough as final round Shape. 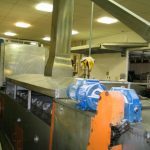 Have inlet and outlet belt conveyor table and The Two sheeting roller are made from Teflon. Belt conveyer for the second baking chamber. 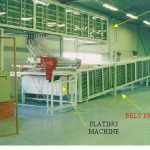 The machine body made from steel and the external matirial of the machine is from Stainless steel. Both sides are covered with persecutes. It is possible to have the body from stainless steel also. 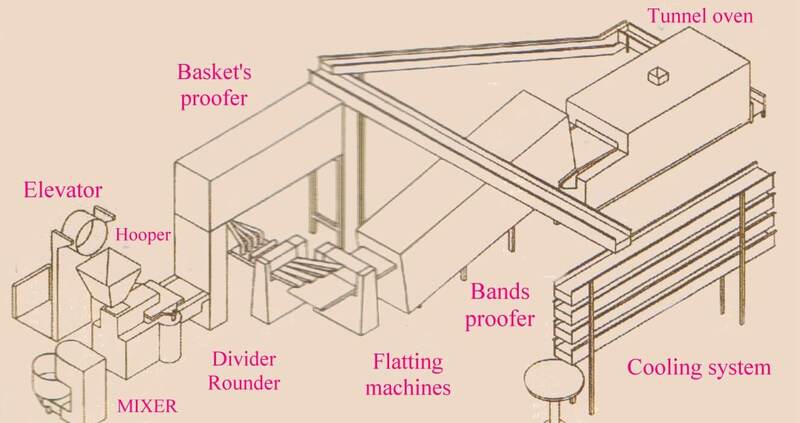 The proofer dimension depends on the oven and the number of Product. We offer three kind of ovens. hitting by Gas Electricity or Diesel. 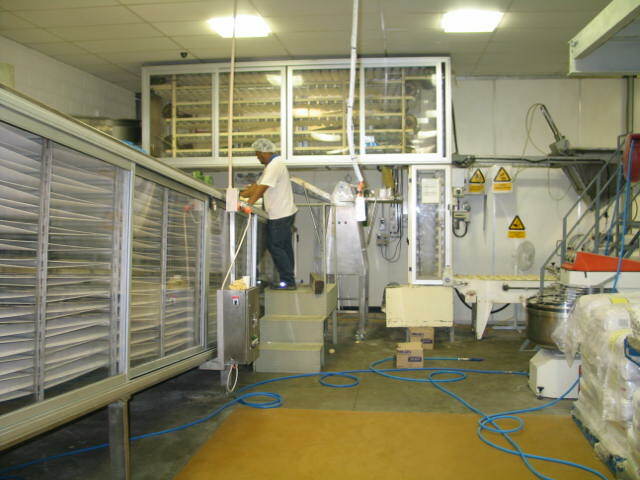 The tunnel oven is base on moving plats conveyer, which give the dough the exect heat and time needed. Sizes deponds on number of products per hour. The oven includes an inlet machine (built on). The oven body made from steel. The framework is made from Stainless steel. 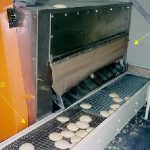 PRI Bakery equipment offer conveyers system from plastic net which work on stories principal or round conveyer for cooling the pitta before the packing.